Interview with UGC St. Louis Champions Denial Mikwen and RyaNoob. Earlier in the week we had the opportunity to talk with two members of the UGC St. Louis championship team Denial about the tournament, their team, and the organization behind them! ESN: First let us say, congrats on the win guys! This tournament presented a first for both of you. Mikwen this was your first major LAN win, and Ryan, this was your first MVP. How do you guys feel?! Mikwen: Still pretty surreal, can’t believe it finally happened! RyaNoob: I’ve wanted MVP my entire career and felt that I deserved it for my wins at Raleigh and Dallas, finally receiving it is just fulfilling. ESN: How much of a difference did having Chig back in the lineup make? Was there any rust early on from him missing the first LAN or did you guys feel good the whole time? Mikwen: Not really, Chig and I have a ton of chemistry so we were pretty good from the start. This event really was the “Chig Factor”. ESN: So after CLG took the first series, what was morale like within the team? Mikwen: Still really high, we knew if we took one Warlock the series was ours. RyaNoob: We knew exactly what we had to do after losing the first game of the first series, win a Warlock. It looked extremely difficult but we came out hot/they came out cold in game one of the second series. ESN: A lot of fans and even players were somewhat surprised at how well you guys meshed and played during UGC, were you confident that this would be the case going in to the tournament or were there some doubts? Mikwen: I think we knew how good we were when none of us were frustrated due to online play, so not too many doubts. RyaNoob: I knew we would do well, but it all depends on how well you play each day at the event. We won two close games vs Evil Geniuses which could have gone either way, and if we lost that series it would have been a hard road to the finals. RyaNoob: I was quite certain that I would not be on Str8 afterwards even before the tourney was over. The competition was just going to be too high for this squad for Season 1 of HCS so I had to figure out what I was doing. Since I had teamed with Goofy for so long during my career, I agreed to be a team of two with him and turned down a couple of good offers that, in hindsight, I probably should have taken. Once on VwS, we picked up Tiz and Destin, but we didn’t play well so I figured it would be a one and done team. Soon afterwards Goofy found out he wouldn’t be able to go to the event and through some stroke of luck the Denial CEO messaged me on twitter about joining the squad. ESN: So Mikwen, when you guys decided to make the roster change, what was it about Ryan that stood out to you? Mikwen: Ryan is just insane, he can do everything extremely well, and his movement/objective work single-handedly will win you games. 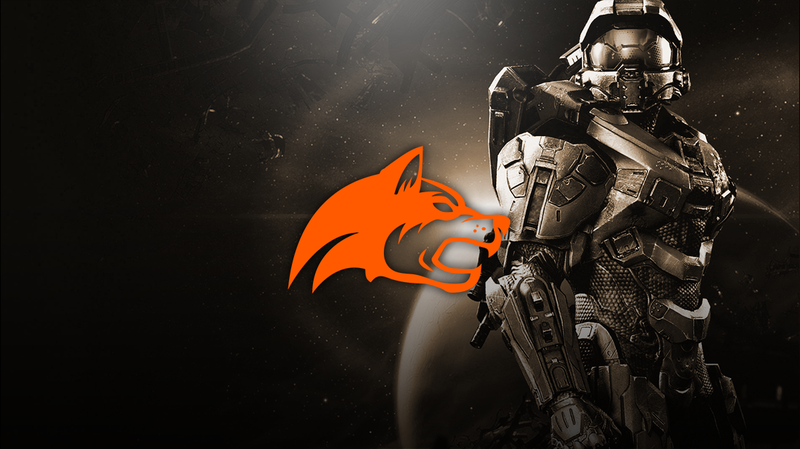 ESN: What sort of support have you received from the #WolfPack and what has it meant to you bringing them their first Halo championship? Mikwen: Amazing, they have treated us so well so to bring them a championship as fast as we did is an amazing feeling. RyaNoob: I haven’t been a part of an org before so this was definitely something new. They lived near Columbus so they hung out with us at Iron Games and Ray flew out to UGC, it just shows how much they love being a part of Halo.